The first Galaxy device to be getting the September 2018 Android security patch is the Galaxy J5 (2017). The J5 (2017) was updated to Android 8.1 Oreo nearly a month ago, and Samsung has now expanded availability of the Oreo update to the UAE. The phone is also getting the September security patch as part of this Android 8.1 Oreo update. 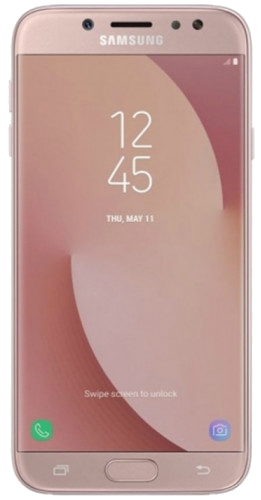 Galaxy J5 (2017) owners shouldn’t get too excited, however, as Samsung is still releasing Android 7.0-based updates for the device in some markets. Samsung has taken slightly longer than usual this month to kick off things with the latest security update. That might be because the company updated more devices than usual with the August 2018 security patch, including quick updates for all of its recent flagship phones. Whether September sees a similar outcome remains to be seen. The September update is certainly an important one, as it brings fixes for a higher number of critical vulnerabilities in Android than recent months. 18 vulnerabilities that pose danger to only Samsung’s software have also been fixed with the latest patch. To download the update on your Galaxy J5 (2017), open the phone’s Settings app, tap Software update, then tap Download updates manually. You can also update your phone by downloading the firmware from our database. wtf is going on with this update? i’m logged in premium, any other update i can download, but this one is not possible. it keeps kicking me out from being logged in when i follow the link to the particular firmware. is this even confirmed real?